In 2005 I rode the Tokaido shinkansen, the Dangan Ressha, the bullet train for the first time. This was an experience for me. I had known about the Tokaido line and much of it’s history, but riding the line was something else. I probably have 100,000 miles of train travel rolled out, including several cross country trips, but going along at 270 kph was something entirely new. I know what it takes to get a railroad up to the standards that I was experiencing. To be moving at almost 200 MPH and the ride being smooth as silk. That represents an attention to track standards that I’ve never seen on an American Railroad. It was definitely and E ticket ride. I’ve been back to Japan twice. I’ve collected a bunch of pictures and good memories. Still the Shinkansen ride has been one of the best parts of all my trips. There’s something special about riding a railroad that is as close to perfect as possible. And being able to go just about anywhere in Japan in a day, thanks to high speed and Railpass. The Tokaido Shinkansen celebrated it 50th anniversary last year. This is a great story of continually improving technologies and ever faster service keeping ahead of ever increasing traffic volumes. The Tokaido Shinkansen was completed in October 1964 and has run ever since. This is an incredible achievement and a true memorial to the men who built the railroad .But I’m used to older wires and a story that goes 50 years even further and to place rather closer to home. Right next door, in fact. My story goes back further than the first trip to Japan. By the time I rode the Shinkansen for the first time I had had 1000’s of mile of train riding under wire. My family moved to Riverside CT, next to the New Haven RR in 1967. Now I was seven years old at the time and even then, a train nut, so this was like heaven. A constant stream of Passenger trains, many behind EP5 “jet” locomotives were a sight for a seven year old. Then there were the freights to NYC behind the red brick shaped EF4s, a seemingly endless stream of cars. The decrepitude and wear and tear weren’t apparent to a seven year old. I did know that the railroad was old. And impressive, with it’s massive stonework, steel catenary towers and smoky ancient power plant across the river from where I lived. As I was growing up, I tried to learn the New Haven story. I wanted to know about that weird railroad whose abandoned track remnants paralleled the NH mainline from Port Chester to New Rochelle. I wanted to know who were the people who built the incredible railroad I saw every day. I wanted to know why the railroad stopped building and why it died. I wanted to know why the wires were not run to Boston. There’s just a couple of problems with the Weller narrative. One, considering the people involved it makes no sense. Two, nowhere in the book is the word “electrification” mentioned. Electrification was one of the reasons that the New Haven pursued the path it did and without understanding the needs of electrification you can’t understand why the New Haven fell. As fun as the popular narrative is, the reality is even stranger. It revolves not only around Morgan and Mellen, reaching out across the turn of the last century to involve some it’s greatest minds and greatest egos. Reading early 20th Century engineering journals, you can see the legendary fights and the determination to prove that their solution was THE solution to the railroad electrification problem. On the DC side you have Frank Sprague and the Edison/GE people. On the AC side, George Westinghouse and the staff of people at Westinghouse Electric. The battle to electrify the railroads would be side show of the war of the currents, albeit an important one. The one thing that stands out is the integrity of all the people involved. These were men who argued with results, numbers and deeds, without resorting to personal attacks. One thing to understand is that the electrical industry was THE growth industry in a period where wealth was created in amounts that had never been seen before or since. In the middle of this was JP Morgan. By the turn of the 20th Century he had, by more or less default become the reserve bank of the United States. He was also more than a bit of a geek. If you look at just about anything electrical, he’s there, with money. Edison, Westinghouse, Tesla, Sprague and others all got funding from JP Morgan, frequently out of his own pocket. This was the man who put electric lights in his house first. How geeky is that? In the 1880’s there was a lot of stuff going on with DC electrification of street railways, especially promoted and developed by Frank Sprague. This was a good early application for electrification because the distances involved were short, the currents not so high that the connections required massive infrastructure. And street railways were disconnected from each other so that fixing bugs was a local issue. There was also the advantage that the horse cars that early streetcars were adapted from were small and very light weight. Line grade separated from roads and other rail lines. Express and local tracks in each direction. measure taken and advanced signaling systems installed to keep trains separate at high speeds. Trains streamlined to reduce drag. Except for Adam’s lack of knowledge of technologies that did not yet exist, this is the blueprint that every high speed railroad has followed. But of course Adams was laughed out of town and was never able to build his dream. The results of this work was somewhat disappointing. While the 600 volt DC systems worked, as the current loads went up, the infrastructure for power transmission got clunky fairly quickly and having to run obviously dangerous third rail either in the middle of the track or covered along one side did not make the neighboring farmers or communities happy. It didn’t make the CT state legislature and a CT Superior court judge happy either and in a step backwards for progress, the judge banned third rail electrification, at least where the grade was not separated. Simultaneously with the experiments the New Haven undertook to realign the entire railroad West of New Haven, eliminating all the grade crossings, expanding the mainline to local and express tracks and straightening curves all along the mainline from New Haven to the junction with the New York Central at Woodlawn. This turned out to be a good thing as an incident in the Park Avenue tunnel forced the New Haven right into the heavy electrification spot. On January 8 1902, A New York Central train missed a signal in the Park Ave. tunnel and rear ended a New Haven train waiting for terminal congestion to clear. This was the trigger event for the restructuring of Grand Central into the terminal that exists today and the electrification of the NYC’s Harlem and Hudson suburban divisions. This put the New Haven into a quandary. The choices were simple. 1. build an engine terminal near Mt. Vernon/Woodlawn and change engines with every train, with all the delays that would cause. 2. Build NYC style third rail out to Port Chester, which would deal with what was then the majority of the suburban service and change engines there for the rest of the services. or 3. Install an essentially experimental electrification system on what was the busiest passenger railroad in the country. The New Haven went for option no 3. I will let the man who actually responsible for making that very, very gutsy decision explain why. If the New Haven hadn’t made that gutsy decision it’s possible that two very important technologies wouldn’t exist in the same way they do now. The small locomotive at the top of this post is 01. In it’s own way it’s as important a locomotive as Rocket or CNJ 1000. Neither of those look like much either. 01 is the granddaddy of everything that runs under high tension wire, which makes it a very important little locomotive indeed. It’s also the locomotive that you should thank every time you turn on a light. Much of that is the responsibility of this man, William Spencer Murray, the significant electrical engineer you will have never heard of. William Spencer Murray was chief electrical engineer on the New Haven and the man responsible for making it all work. This was something that had never been tried and it had to be done on the busiest railroad in the country. Failures were measured in “detentions,” trains held up for one reason or another. Some problems that occurred were circuit breakers that tripped on start up overloads, locomotives derailed by trucks that hunted bouncing themselves out of the track and trolley wire that wore out incredibly quickly under service. The fix for the circuit breakers was a longer set time, the locomotive trucks had pilot wheels attached to eliminate the hunting and the trolley wire had a secondary trolley wire clipped beneath it made out of steel, thereby creating a mystery I did not understand to most of my life looking at that messenger that didn’t make sense. These fixes made the system work and indeed the fixes and system worked so well that it lasted intact for almost 100 years, the original catenary wire only being replaced by modern constant tension catenary in the early 21st century. The key point is that the initial electrification was a success and proved that a mainline railroad could, indeed operate under wires. This was a tremendous achievement and was lauded as such in the engineering journals. Just as important was the fact that NYC’s deadline was beaten and the operation eliminated some key issues that the New Haven had. It was time to plan the expansion. That was where the problems started. The New Haven, at the beginning of the 20th Century was an enormously profitable company. It also had some deep Achilles heels that needed to be addressed. One, traffic density. Between the commuter trains, the long distance passenger trains to Boston and other points in New England and the freight traffic from the car floats at Oak Point. And it didn’t look like things were going to improve. Two, loads/empty imbalance. The New Haven always received more loads than it shipped. This was aggravated by the NH’s short haul distance for traffic that only ran home road. Three, the NH lost money on every commuter into Grand Central west of Port Chester because the NYC charged for each fare the NH collected to use the Harlem branch into Grand Central and the NH could not raise fares to compensate because the fares were set by NY state. The New Haven did have some assets. One was a management team that was truly filled with people that were progressive and not afraid to write the book on their specialty, literally. Two, was an enormous cash flow from all that traffic. Three, was an excellent physical plant. Four, a board of directors that backed up the gutsy decisions. In fact as events proved maybe the board backed the management up just a bit too much. Frankly though, I don’t think that anybody back then could have predicted in 1905 how much things would change by 1915. The solutions to the new Haven’s problems were pretty obvious and indeed, had been in progress long before the electrification started. One, buy up the small northern New England lines like the Boston & Maine and Rutland to provide online traffic sources. The little lines would get access to the NH’s better and larger maintenance facilities and the NH would be able to route more online traffic and send empties North to be loaded with potatoes and such for Chicago. Two, use a more or less defunct charter for a little line (NYW&B) and use it to create a bridge line from Danbury to the Bronx for New York bound freight. While your at it, use the bridge line to parallel your money losing commuter line and have it terminate next to the new IRT subway. Three, use the little New England lines as a connection to the Canadian trunk lines to create a de facto fifth trunk line right into the East side of New York and the new terminal markets being built there. In 1890, this is a winner. In 1909, it’s all trouble. Electrification added another nuance to the oncoming train wreck. It was realized almost immediately that having the New Haven provide it own power was not an optimal solution. 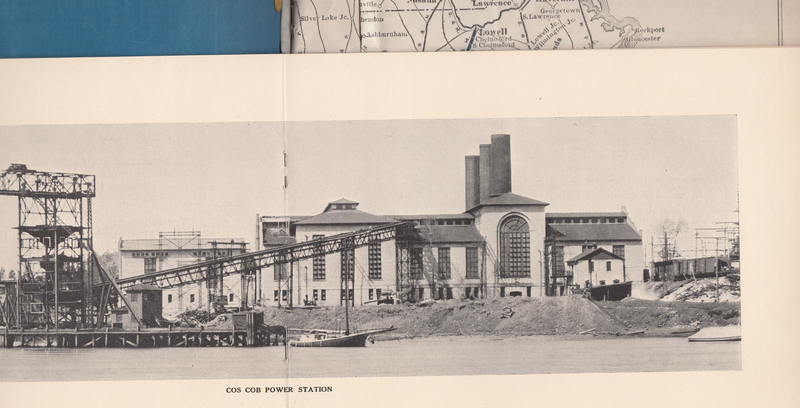 Indeed even the first section of the electrification drew power from power station in New York as well as Cos Cob. The problem is that a power station likes to run at one speed and a railroad’s traffic fluctuates with the time of the day. That means that you have excess capacity for a good portion of the day. The obvious solution is to sell the excess power. The problem was that electric power in 1905 was sold by a bunch of separate utilities in each town, none of which connected to each other, all of which had exclusive contracts as a utility. The solution for the New Haven, probably instigated by Murray, was to set up a subsidiary, buy up the power companies, tie them together into what Murray called “super power” and what we would call a grid, covering the New Haven’s area of service and buy the power for your electric railroad as your own best customer. Win-win for the New Haven which solved it’s electricity problem, the towns who didn’t have to worry about energy and the customers who get electricity at lower rates because the load is balanced and there’s less waste and more efficient power plants. Indeed that’s how it all worked out in the end. Unfortunately, having made the investments, The New Haven was not able to reap the rewards. A series of events conspired against the company. First were the politics of the day. The Morgan interests were too juicy a target to ignore, especially as Morgan was an old man and the Wilson Progressives, led by long time Morgan foe, Louis Brandeis, were out for scalps. Then there was the sinking of the Titanic, owned by IMM, another Morgan interest, which caused financial and mental stress on the old man. 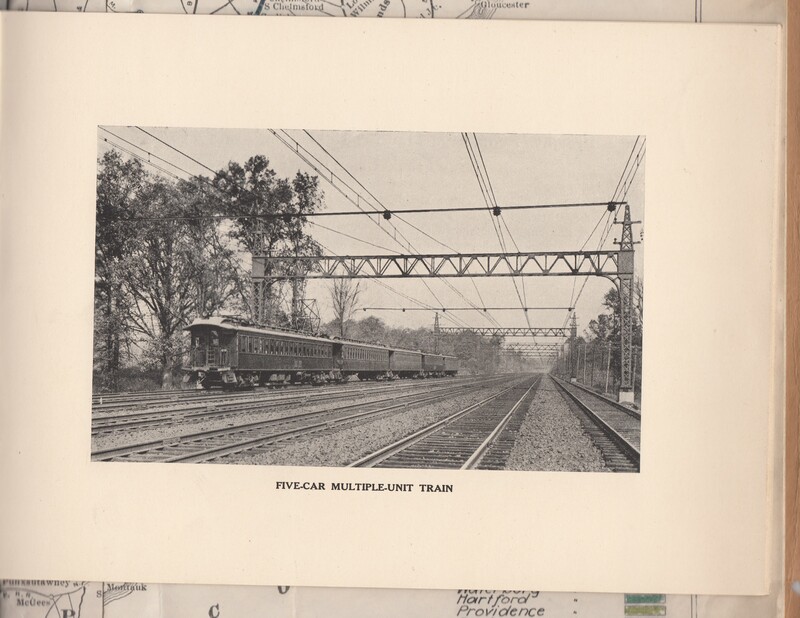 Then the City of New York banned wood passenger cars from tunnels in the city forcing the New Haven to replace it’s coach fleet and sell it’s first class fleet to Pullman for a huge discount. There was year of wrecks, with at least four serious fatal wrecks all involving passenger trains. Finally the railroad and Morgan were dragged through the mud by the Pujo Committee and Morgan passed away soon after. Now I don’t know what JP Morgan Jr. said or did after the old man passed away. The board meeting minutes from that time have disappeared from the remnants of the corporate records at the UConn library. I do know that the consequences were dramatic. Shortly thereafter Mellen was let go and was testifying before the ICC, which was all too willing to put things in as bad a light as possible. 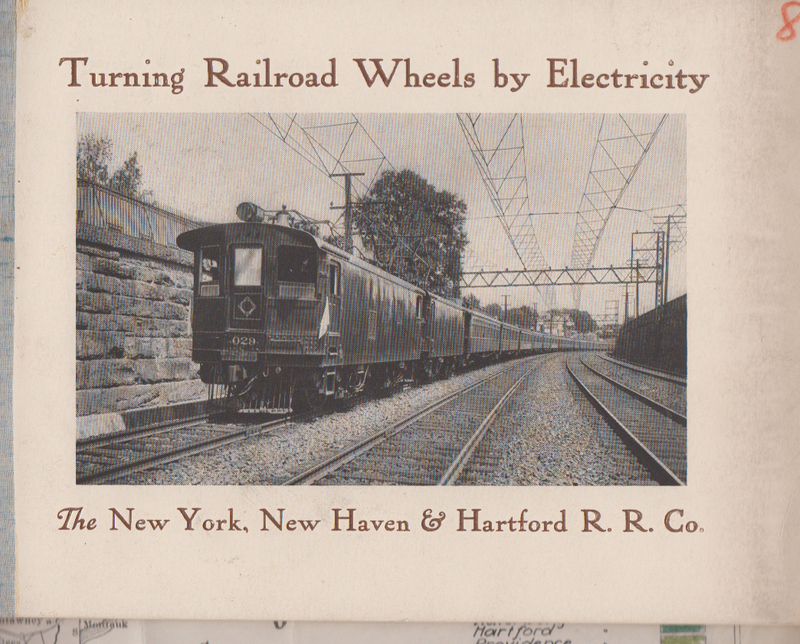 The electrification worked reached New Haven in 1914 and stopped. The Westchester never went beyond White Plains NY and never made any money. 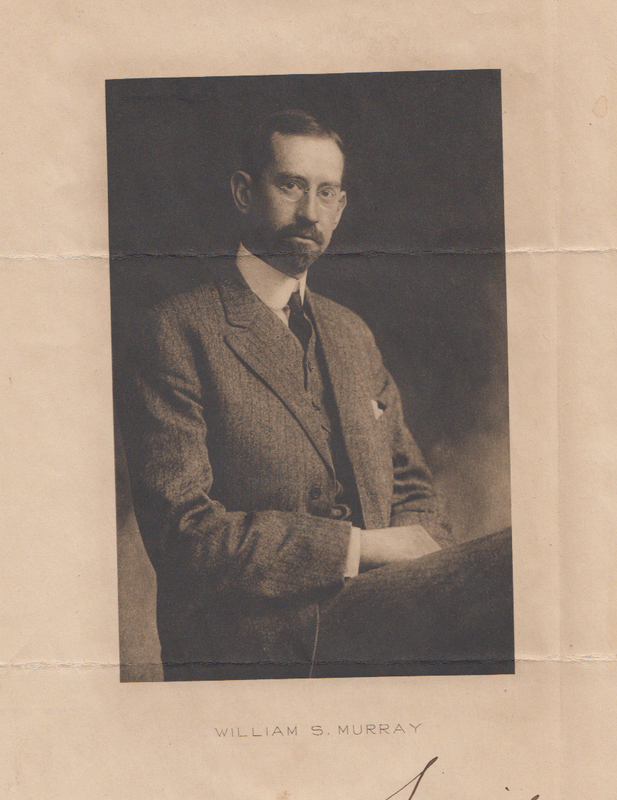 Murray left the New Haven in 1914 along with McHenry with whom he started a consulting firm. The cover of a book the New Haven put for schools showing the early electrification. Multiple Unit Commuter train on the Harlem River Branch. The Cos Cob power plant, my very smoky neighbor when I was growing up. Some odds and ends relating to the New Haven from Street Railway Journal and other places. 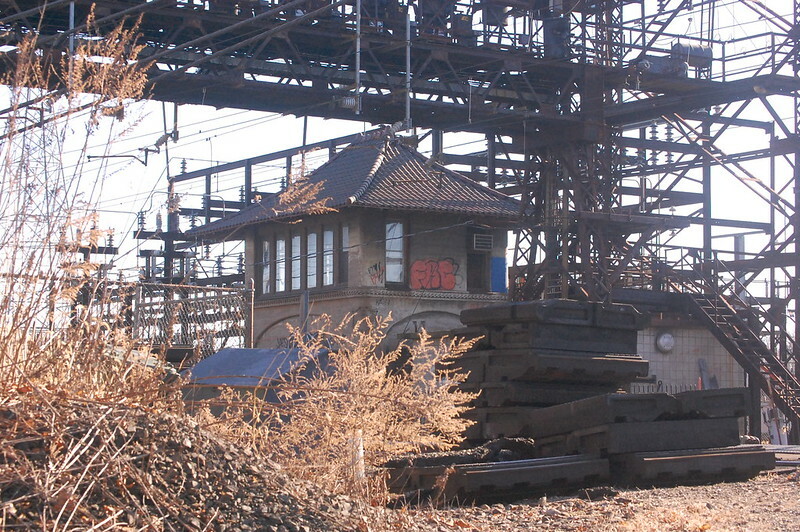 The historic engineering record of the Cos Cob powerhouse and the electrification in general. Twenty years of so after the new haven completed the line to New Haven, the Pennsylvania Railroad decided that the line from New York to Philadelphia and beyond. The scale of the electrification dwarfed anything in the world at the time. While the Pennsy had built the great Penn Station terminal electrification and it’s subsidiary and the Long island RR’s suburban services were electrified by DC third rail, for the most part the Pennsy was content to watch electrification developments from the sidelines. It had electrified the Paoli commuter service in 11kv AC, but that is far as it went for fifteen years or so. But the traffic increases in the 1920’s and the increasing congestion across New Jersey forced the issue. The only viable option in the 1920’s was electrification and when the PRR electrified it was go big or go bust. The PRR went big and in process showed what the future could be like. If the New Haven was the pioneer, the PRR could be considered the evolutional improvement. This was an electrification on a scale that the New Haven people could not even dream of. William Atterbury was betting the finances of one of the most stable and conservative companies on the planet. The biggest problem that emerged was the timing. The PRR’s electrification was started in 1928 with the running of wire over the line to Trenton NJ and Wilmington DE in expansions of the Broad St improvement project. In Oct. 1929 the stock market crashed and the Great Depression started. In the beginning the sock market crash did not seem like that big an issue. The PRR had had a long term program for paying down debt and self financing small capital projects in the expectation that the company would need funding for an electrification project. So the PRR’s debt was low going into the depression. The 1930 revenue numbers, while down, were not disastrous. And it seemed that the railroad would have financing the electrification as there were no issue with the subscription of $60 million in bonds at 4 1/2%. The railroad managed to obtain another $50 million in early 1931 in what became a race to the bottom as the railroad tried to cut expenses and get funding to complete the electrification as the revenue picture continued to darken. With the completion of the 30th St. station and energized wire between NY and Philadelphia the railroad won the race without collapsing into financial chaos. While the electrification construction was a success the motive power developed at first by the PRR had some problems. Most of these were self inflicted as a result of the PRR’s general conservatism. While the New Haven embraced the advantages of electric locomotives for their motors right from the start, incorporating features like articulation and the ability to multiple unit motors, the PRR decided that their electric locomotives should operate essentially like the steam locomotives they would replace. That extended to the wheel arrangements. Where a New Haven EP2 distributed it’s horsepower over six axles the similar horse power P5 distributed its power over 3 axles. This caused several issues. One the axles had torsion cracks from the extreme loadings. Two the rigid frame caused heavy lateral forces at speed. Three, the motor could not keep speed with a heavy train on the grades out of the Hudson tunnels and out of Baltimore. Of the three, the crack issue was the most serious and actually caused electric operation to cease for a time. This was a very expensive problem as the P5 fleet was larger than the New Haven’s entire motor fleet combined. It became apparent that the P5 was not suitable for the high speed passenger service. The PRR needed a new solution, fast. Fortunately, the New Haven had one. The New Haven had continued it’s improvement of electric locomotive technology with the EF1, EP2 and EP3 classes with the EP3 being what became the penultimate design for straight AC locomotives. The PRR borrowed an EP3 for testing #0354, which proceeded to blow the P5’s wheels off in tests. Still not convinced the PRR motive power people ordered an improved motor from GE designated class GG1 #4899 and a large rigid frame motor with four drive axles designated class R1 #4800. The GG1 blew the R1’s wheels off in the tests the locomotives switched numbers and the rest is history. The service that resulted from the capabilities of the GG1 and the improvements the PRR made on the NY- Washington corridor allowed the PRR to increase speeds dramatically. Track speeds on the corridor increased to above 100mph and some trains used all of it. Once electrification was energized all along the corridor train times dropped from over four hours in the steam days to about three and a half hours behind GG1’s. The “clocker” services ran the NY-Philadelphia run in just over an hour and half with two stops. Unfortunately all the speed in the electrified zone could not save the PRR from the long term ravages of a seemingly endless Depression, the ravages of a world war, the inability to increase rates to keep up with inflation and the struggle to keep afloat. The sea of red ink caused by having to maintain a long distance passenger service abandoned by customers, having to replace the obsolete steam locomotive fleet and general loss of revenue sources was just too much to overcome. The PRR spent the 1950’s in slow, but steady decline, merged with it’s old rival the New York Central and the New Haven and shortly thereafter the new Penn Central followed it’s predecessors into bankruptcy. If the last part of our story ends with a train wreck, the next part begins with one. Actually it begins with several train wrecks and a shipwreck too. All of which happened to Japan national Railways in the ten years or so after world war 2. With each of these the head of JNR would claim responsibility and retire in shame. By 1955 JNR had had four presidents. I suspect that the people in charge looked for a retired railroad executive because they didn’t think he would be on the job for very long. I think that the transportation ministry people thought that Shinji Sogo would be yet another placeholder, drawn out of retirement for a short time until the next inevitable accident, whereupon he would return to gentile retirement. After all, heretofore no president had actually made it to the end of his term. On the surface that’s what Sogo looked like, a long term bureaucrat who had moved from job to job, serving with distinction, but not likely to rock the boat. Anyway most of the seemingly best candidates for the job refused it. Sogo looked like the perfect candidate to keep things going, another place holder. Instead they got “old man thunder” and the Shinkansen. To understand just how significant the Shinkansen was we need to take a look at Japanese railways in the 1950’s and 1960’s. In many ways, JNR was essentially stuck in railroading circa 1930. Labor intensive, run by steam, trains crammed tight in the Tokyo region and confined by Japan’s narrow gauge, Japan’s railways did not look like a fertile ground for a totally new kind of railway. Maybe, though, that was the secret. The Shinkansen could start with clean slate. Here’s a couple of videos of JNR operations before the Shinkansen. Sogo, right from the start, demonstrated a different style of leadership. Rather being distant from the workforce, he wanted to engage them. The problem was that there was a feeling that railways in Japan were on their way out, being part of the past. Overcoming this attitude was going to be one of Sogo’s biggest problems. Sogo had a solution to that. He would build a new trunk line, the Shinkansen between Tokyo and Osaka using standard, rather than narrow gauge track and all the newest technologies available. The idea for a standard gauge line between Tokyo and Osaka was not new. The advantages of reducing travel time was obvious to the government and military planners. It was obvious that speed increases were possible by looking at railways in Europe and the US. The railways in Korea and Manchuria were, in some ways superior to the line in Japan itself because they were standard gauge. As former director of the Mantetsu, Sogo was certainly aware of the advantages. Work on what was known as the Dangan Ressha, the bullet train was actually started in the late 1930’s. Unfortunately the pressures of war stopped construction before much work was done, but not before two critical tunnels were started and a significant amount of land secured. There’s actually a bullet train embankment near Shinagawa station. The disadvantage was that the new standard gauge line would have to operate completely separated from the rest of the JNR network. That would mean that trains could not divert to the old Tokaido Line if necessary. Also the new trunk line would divert resources needed for other projects. The flip side of this was that the Tokaido was already overloaded. Improvements would still be needed and conventional improvement such as electrification and adding tracks had not eased the congestion. The only way to increase the traffic flow was to make it faster. The new line Sogo’s engineers proposed would be standard gauge, grade separated, single phase AC high voltage electrification running at high speeds. Now the only problem would be getting approval and funding for construction. This is where Sogo’s lifetime of working the system and politicking paid off. Japanese culture is deeply rooted in consensus decision making and while that means that making the effort to get to the decision can be long and arduous it does mean that once the decision is made, the commitment is solid. It didn’t hurt that Sogo was willing to take the chance on under budgeting the project in the proposal and had friend in high places either. On December 19, 1958 the cabinet approved the report for the Shinkansen. Sogo was going to get his railroad. The Shinkansen was going to require the application of technologies that while they existed in different places, had not been used for railroading. Going to high speeds means that issues like hunting, where the wheels bounce all over the rails need to dealt with. At low speeds a little vibration is not an issue, at high speeds it’s lethal. Sogo would need a good man to head his engineering team. He went and got Hideo Shima. Shima and the JNR engineering team had one huge advantage. They could start from scratch. The Shinkansen would operate totally separate from the rest of the JNR system. It didn’t have to share track with a manifest freight, a commuter train, or some backwoods local. Another advantage was that significant new technologies were available for Shima’s toolbox. For instance bolsterless bogies for ride improvement, AC-DC solid state rectification to make the motors smaller, Lightweight welded car construction, welded rail, concrete ties, automatic and centralized train control. Shima was also able to recruit aircraft engineers from the Japanese aircraft industry that had been forced to close down by the occupation. This brought fresh talent to the railroading problems with unique solutions like slightly pressurizing the coaches to reduce noise. The use of wind tunnels, while not a new idea for railroad engineering, was pursued aggressively to address issues at high speeds. The shape of the nose for the trains was designed with the aid of wind tunnels. While multiple unit trains had been around since the beginning of electrification the designers were able to take advantage of the fact that driving each car used less total weight than having a locomotive. These are just some of the ideas that made the Shinkansen a success. There is no doubt that the Shinkansen has been a success on many levels. the Tokaido shinkansen has operated flawlessly for over fifty years now without a single passenger fatality. the line has made money consistently since it was started. The number of passengers handled is in the billions. Beyond that, the Shinkansen has been an economic boon to Japan. 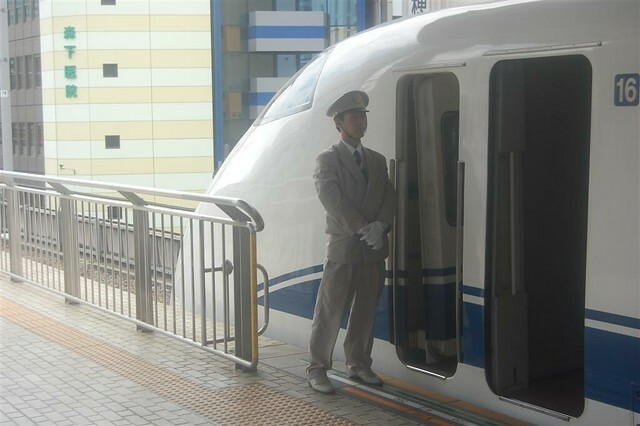 it demonstrated that Japan was in the forefront of railway technology in a way that can’t be passed aside or denied. This has led to Japan being able to export railway technologies and railcars to other countries, including the US. In fact the first Japanese train I rode was a recently purchase commuter train on Metro North’s New Haven Line under the original 1907 wire. which closes the loop. One lesson we can take from the push to high speed rail is that it takes drive and a willingness to push through obstacles. None of the men in charge were consensus builders. They were all masterful business leaders able to get large projects done. They were able to get more out of their people because they understood them and knew how to balance resources to achieve seemingly impossible goals. High speed rail takes that kind of leadership because of the severe political and financial costs involved. It takes a strong will to overcome the kinds of obstacles that come up when trying to both create new technologies and the political and financial issues surrounding a major infrastructure project. I don’t think that it is an accident that the successful electrification pioneering projects were run by men at the end of their careers. The risks of failure and the consequences of failure may just be too large for any other kind of person. In the 1990’s Amtrak, who by then owned the Northeast corridor finally closed the wire gap between New Haven and Boston. The line is now home to the Acela service, the US’s only high speed service and a fitting end to the story. 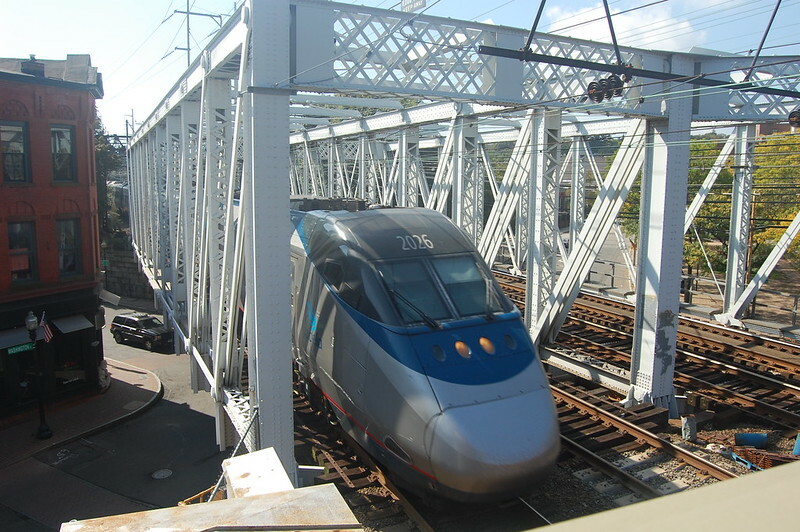 So I end this with some videos and pictures of the Acela.